Newcomer Family Obituaries - Jeremy George Holmes 1983 - 2019 - Newcomer Cremations, Funerals & Receptions. 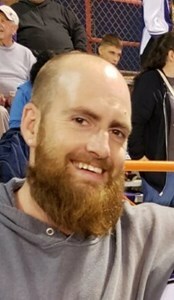 Jeremy George Holmes, age 35, died on April 11, 2019 at work unexpectedly. He was born in Akron on November 30, 1983, the son of Dennis R. Holmes of Barberton and Gloria J. (nee Legg) Likens of Akron. Jeremy was a welder at East End Welding in Kent, Ohio. He enjoyed riding his motorcycle, however, his greatest joy was spending time with his son, Kane. In addition to his parents, Jeremy is survived by his son, Kane Holmes; and his brother, Donald "Donnie" Holmes. Add your memories to the guest book of Jeremy Holmes. I am so sorry for the loss of Jeremy; I can only imagine the hole it has left in your family. Know that I am thinking about you and wishing you peace and comfort in this sad time. Jeremy and I grew up together. Had a lot a great times living next to each other as kids. So sad to hear the news of his passing . Thoughts and prayers to his family.